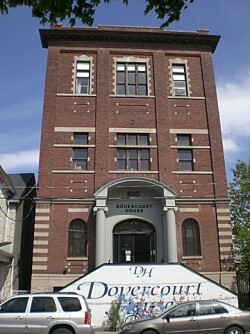 The Village of Dovercourt was founded in the 1870s. Its residents were originally poor immigrants from England living in dozens of one and two bedroom tar and paper shacks which initially resulted in the village being called a shantytown. The village was annexed by the old City of Toronto in 1912 resulting in city services being extended to the neighbourhood helping stimulate its growth and development by 1923. Today, Dovercourt Village has a diverse population and is conveniently located close to the centre of the city of Toronto. The Edwardian style brick houses in Dovercourt Village were mainly built between 1900 and 1925. While many of these houses were once converted into apartments, today the trend is to return these to single family homes. The focal point of the neighbourhood is Dovercourt park, which provides ample green space, a playground, and the newly renovated Dovercourt Boys and Girls Club. The houses facing the park feature some of the best curb appeal in the neighbourhood.